Eldor Technology AS has for the past few years been a part of a research project with the Danish Hydrocarbon Research and Technology Centre (DHRTC) at the Technical University of Denmark (DTU) and Danish Underground Consortium (DUC), with Total as the operating partner. The project has been focused on the development of commercial applications of MFM, in order to develop a real-time decision support solution (AlarmTracker) that minimises human error in the operation of the constantly increasing volume of water, processed on platforms in the Danish part of the North Sea. 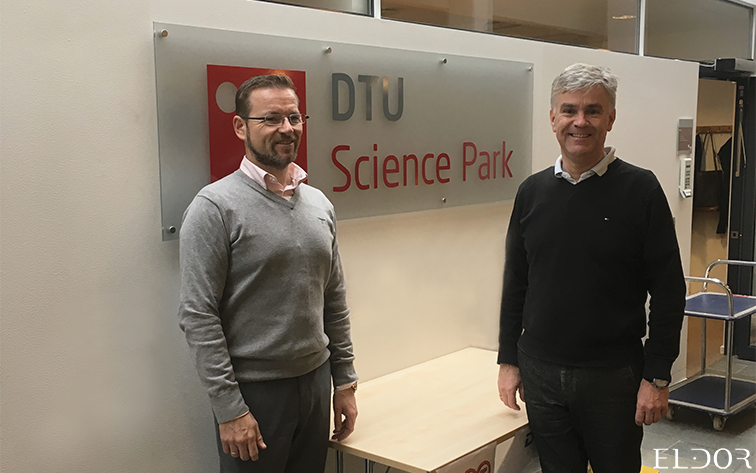 To further strengthen the collaboration, Eldor Technology has established a new start-up company in Denmark located at DTU Science Park with Claus Myllerup, as Chief Technology Officer from 1st of December 2018. Claus joins Eldor from DHRTC where he has had the position as Commercialisation Strategy Director.